Each year, Nomadic Delirium Press puts out an excellent anthology exploring what life in off-world colonies might be like. For the 2015 edition, I was fortunate enough to have a story accepted, The Tulku of Titan (page 126). 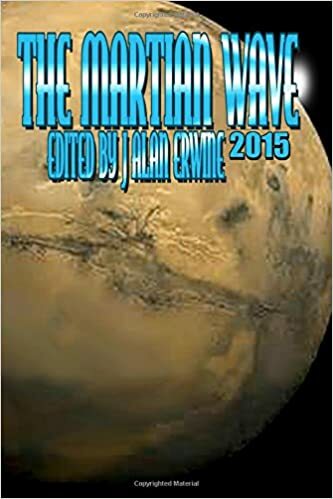 To buy The Martian Wave 2015 from Amazon, click here. To buy direct from the publisher, click here. Fastest fiction sale I ever had. I emailed off the story and within 24 hours I had an acceptance. If only they were all that easy! Nomadic Delirium Press is a great company to work with! In April 2016, this story was released as a standalone e-book by Nomadic Delirium Press. Click here for details of this release. Later in 2016, the story was re-packaged along with its sequel The Terror of Titan as another e-book. Click here for details of that version.